“Our lyrics question the nature of your reality”, John Shannon of “cosmic rock and roll” trio theSHIFT boldly declares on the band’s website. 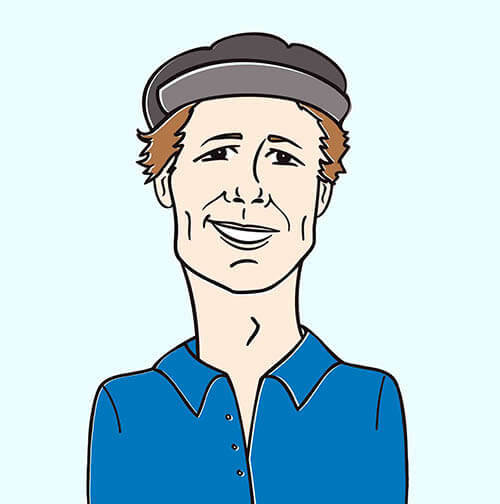 Shannon (vocals/guitar) and his bandmates MJ Lambert (drums) and Ben Geis (bass) attended Berklee College of Music in Boston, but the group now calls New York City home. 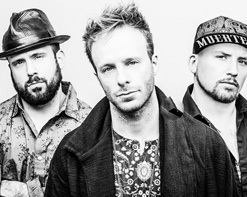 While they make great music together, all three are accomplished musicians in their own rights: Shannon has recorded and toured with John Mayer, Lauren Hill, and Ben Harper, as well as composed music for comedian Louis CK’s live specials and hit FX series, Louie; and Lambert and Geis have backed legends like Big Daddy Kane and Slick Rick. In 2015 this powerhouse trio released their debut EP 7th Direction. Shannon told CHARGED.fm that the title references Native American philosophy, saying, “The first 4 directions are East, South, West, North. The sky is the 5th and the Earth is the 6th. The 7th Direction is the direction within. Though this direction is labeled going ‘within’ it is just the same connecting with the cosmos that are on the outside. Therefore it’s the direction of connecting with all things in an ethereal sense.” Recorded at Mission Sound in Brooklyn and JRock Studios in Manhattan, 7th Direction was co-produced by Jamie Siegal (Taking Back Sunday, Mary J. Blige, Santana). “Consecrate” and “Dreams” are two tracks from 7th Direction that show the group’s ability to combine influences ranging from Led Zeppelin and Van Halen to the Police to Ryan Adams to John Coltrane. Both videos were directed by Steve Pyne of famed video production company Fallout Entertainment. The “Consecrate” music video was filmed way out in the Mojave desert in southern California. The video begins with the band members standing in the doorways of a row of identical small houses. We see them perform in front of these houses and way out in the vast desert landscape. Throughout the video we get glimpses of a mysterious dancer, whose dress flows and flutters in the wind. In the song, Shannon declares, “If you want to consecrate, consecrate the ground.” With geometric and kaleidoscopic imagery representing the mountains and the oceans waves; as well as the sun, the moon, and the stars, “Consecrate” shows the spiritual connection many of us find within nature. While their touring and promotional efforts have been mainly focused in the United States, in 2015 “Dreams” was added to a mainstream rock radio station in Lima Peru, soon reaching #1 on the charts and landing at #5 for the year, making them the only independent band on the Top 150. The “Dreams” music video shows the band traversing a variety of epic landscapes, from city to desert and everything in between. Is there a “shift” happening in our society’s collective consciousness? Perhaps there is, and we’re certainly thrilled to be working with theSHIFT to get “Consecrate” and “Dreams” in front of your viewers! Please let us know what we can do to get these videos into your programming. The band will be touring throughout the Midwest and Northeast all spring and summer, including a stop at Piano’s in NYC on June 24; check their website for a full list of shows. For more information please contact Andy Gesner and the HIP Video Promo team at (732)-613-1779 or email us at info@HIPVideoPromo.com. You can also visit www.leadersoftheshift.com/ for more info on theSHIFT.